Which first-time contestants on Rembert Browne’s Who Won 2014? bracket will be back at the end of this year? Chris Pratt, maybe. But can the McConaissance continue? Not unless everyone starts liking Lincoln ads. Serial? Not without a topic for Season 2. Mo’ne Davis? Not without Little League eligibility. Taylor Swift and Jennifer Lawrence have been in the bracket three years running, but most people who have a good enough year to belong in the bracket one December are likely to tail off over the following 12 months. Still, we now look forward to Matthew McConaughey movies more than we once did, and some of us still salivate over Serial. We know those things are better than we thought they were a year ago. They might not have better 2015s than 2014s, but their projections have improved. Baseball works the same way. A good year isn’t certain to be repeated, but it raises our hopes for the future — especially at the start of spring training, when every team technically has a chance to contend and the cruel march to mathematical elimination hasn’t yet begun. So, which players should we have higher hopes for than we did this time last year? And which players should make us more pessimistic? We can quantify raised or lowered expectations by comparing player projections from one year to the next and determining the difference between them. To find the players whose 2014 performance swayed the projections the most, I compared 2014 and 2015 player projections from two systems: ZiPS, developed by ESPN analyst Dan Szymborski, and Steamer, developed by Jared Cross. Both systems rely on the same basic framework, although they weight past data differently and draw on different information;1 more than 800 hitters and 800 pitchers received projections from both systems in both years. Jorge Soler, Cubs (plus-.052 wOBA): If Steamer had its say, Kris Bryant would belong on this list. But Bryant didn’t appear on the 2014 ZiPS spreadsheet, which for our purposes leaves Soler at the top of the pile of Cubs prospects who improved their outlooks last season. 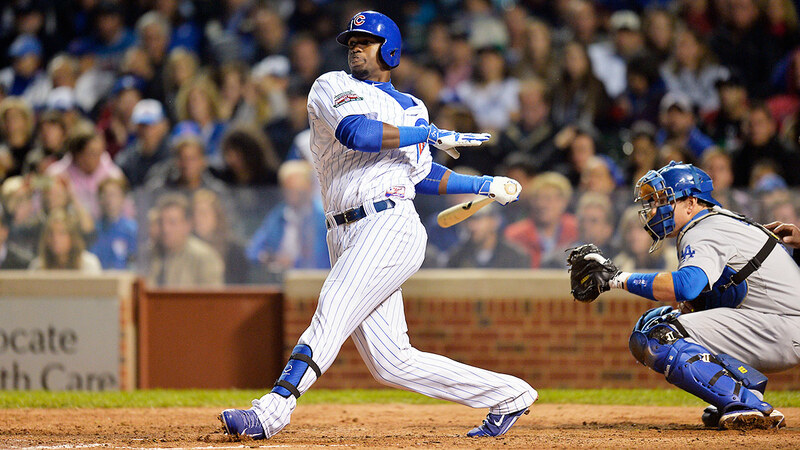 Entering 2014, Soler was a toolsy 22-year-old with big error bars coming off a season in which he’d been injured, benched, and suspended. After another early-season injury, however, the Cuban defector broke out the way the Cubs had hoped he would since they’d signed him, mashing in the upper minors (.340/.432/.700 in 236 Double-A and Triple-A plate appearances) before outplaying the higher-ranked Javier Baez in their first look at the big leagues. Soler reportedly put on 27 pounds of muscle over the offseason, approximately the same amount of muscle Billy Hamilton has put on since birth. We might have to wait a while for Bryant, but the Soler show premieres on Opening Day. Mookie Betts, Red Sox (plus-.047): Small enough to make scouts squint3 but not small enough to be a unit of measurement, the 5-foot-9, 155-pound Betts languished on the back half of some of last spring’s top prospect lists and missed the cut on others. It soon became clear that not ranking him higher had been a mistake, as Betts cruised through Double-A and Triple-A and had no trouble making the minors-to-majors jump. The projections put him in the 3-4-win range for his first full season if he plays every day — a tall order in Boston’s logjammed lineup, but easier for Betts than it would be for a player who lacks his ability to play up the middle in the infield and the outfield. Betts hits for average, mass-produces doubles, and walks about as often as he strikes out. If you don’t see his name on a leaderboard in the next few years, it will probably be because you’re skipping the columns with the stats that sound like law partners. Joey Gallo, Rangers (plus-.044): Last June, I called Gallo the most interesting man in the minors. A month later, he broke a windshield in batting practice before the Futures Game and then drove a ball even farther over the fence after first pitch, winning the exhibition’s MVP award. Gallo’s encouraging contact rate collapsed after he made it to Double-A, but his power survived the promotion, and he finished one bomb behind Bryant in the minor league home run race. It’s possible that we’ll see him in Texas this season. J.D. Martinez, Tigers (plus-.042): Martinez’s season seemed like a strong endorsement for the power of creative visualization. During a DL stint in 2013, the 27-year-old, whom the Astros released last spring, imagined himself swinging like Miguel Cabrera. Unlike most players who borrow from the best, Martinez’s mechanical overhaul actually turned him into the superstar he was emulating, at least temporarily. For several reasons, the Tigers’ Miggy-Martinez-Martinez middle of the order from the playoffs last year probably won’t be as daunting in 2015, but it was scary while it worked. 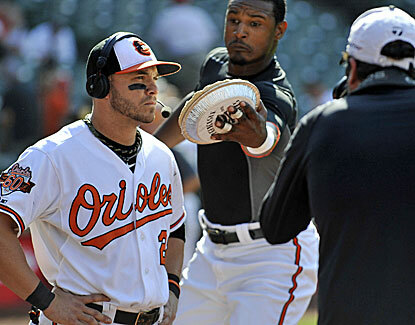 Steve Pearce, Orioles (plus-.032): Like Martinez, Pearce was released right before his breakout, a victim of a roster crunch intended to clear room for Orioles legend returning star top prospect fellow uniformed player T.J. McFarland. Like Martinez, Pearce is projected to be worth significantly less in 2015 than he was during his year as the best baseball player in Baltimore. And like Martinez’s, Pearce’s projections still suggest a better baseball player behind his stoic expression than they did a year ago, despite some regression ahead. Victor Martinez, Tigers (plus-.029): The shorter a player’s track record, the more sensitive his projection is to a single season’s performance. Given the career samples associated with veterans and the age-related decline baked into each system, it’s no surprise that the players on this list skew toward the young and inexperienced side — all of which makes Martinez’s presence here more impressive. The then-35-year-old rarely struck out last year, and he went deep more often than he ever had in the days when runs weren’t scarce enough to raise a search party. Michael Brantley, Indians (plus-.028): Brantley had made more than 2,000 plate appearances before 2014, but his game blossomed just as it looked like he was about to resign himself to league-average life. Last season, he more than doubled his 2013 contributions on the basepaths, doubled his home run total, and nearly doubled his doubles. The only thing he might regret about 2014 is his decision to sign an extension before his big season (assuming he doesn’t credit his financial security for his success). Steven Moya, Tigers (plus-.027): Last month, a front-office exec asked me why I thought Moya “gets no press” compared to Gallo and the Yankees’ Aaron Judge, two other minor league sluggers who look too big for the batter’s box. The 6-foot-6 Moya, after all, is the one member of that trio who’s made the majors, and he hit 35 homers in 133 Double-A games last year. Maybe it’s that he’ll turn 24 this summer; more likely, it’s that 161-to-23 strikeout-to-walk ratio. Whatever the reason for Moya’s lower profile, ZiPS and Steamer are more impressed with him now than they were in the past. Nonetheless, they agree that he needs time in Triple-A, projecting him to be a below-average hitter if he were back in the big leagues today. Michael McKenry, Rockies (plus-.026): On any other team but the one with Wilin Rosario, McKenry would be an asset on offense and a liability behind the plate. On the Rockies, those roles are reversed. The arrival of Nick Hundley pushes McKenry further down the depth chart, but the projections say he could be an above-average hitter even if he wears a different glove. Justin Turner, Dodgers (plus-.025): Narrowly robbed of the distinction of “best Dodgers bench bat” by Scott Van Slyke, Turner benefited from a BABIP spike of more than 80 points compared to his career average. When those extra singles evaporate, Turner will go back to being the league-average hitter and useful multi-position player he was for a few years before last season. Landing Turner on a minor league contract that eventually became a $1 million base salary was a smart way to replace the 2013 team’s surplus of scrappy utility guys; bringing him back for $2.5 million is less of a bargain but still makes sense. Jose Molina, FA (minus-.034): If not for Ray Oyler, who slugged .186 in 247 plate appearances in the offensive nadir of 1968, Molina’s .187 slugging percentage (also in 247 PA) would have been the worst since the dead ball era. He had more stolen bases than extra-base hits — and he’s Jose Molina, so it’s not as if he were stealing often. Molina is a master receiver, but beyond a certain point, the extra strikes aren’t worth it. A knee injury and a coaching offer from the Cardinals might make this academic. Nate Schierholtz, Rangers (minus-.034): Schierholtz, a left-handed hitter, posted an almost Molinaesque 34 wRC+ against lefty pitchers, which explains why he faced them in only 18 percent of his plate appearances. The really bad news: He recorded a 54 wRC+ against righties in the other 82 percent. Billy Burns, Athletics (minus-0.31): Through 2013, Burns had a .420 career OBP in three minor league seasons, and he’d paired those on-base skills with wheels, stealing 125 bases at an 88 percent success rate. Unsurprisingly, the A’s acquired him in December 2013, but his second season at Double-A and first chance at Triple-A exposed him. Burns posted a .618 OPS across the two levels, although he did hit his second career home run (in almost 1,700 minor league PA). He stole another 54 bases in 60 attempts and briefly made the majors, but his only hope is to see sporadic action in a Terrance Gore role. Allen Craig, Red Sox (minus-0.30): For the third straight season, Craig’s ground ball rate climbed, this time topping 50 percent. That batted-ball distribution might suit Burns, but not a guy with a fractured left foot who wasn’t fast to begin with. Unfortunately, Craig can’t field, so there’s nowhere to hide him unless his bat rebounds. Jackie Bradley Jr., Red Sox (minus-.028): Speaking of Red Sox hitters who had disastrous seasons: When I surveyed front offices last August to ask for first impressions of top prospects, Bradley’s bat received the worst reviews. He didn’t just hit .198/.265/.266; he looked like he’d earned every out. Only his defense saved him from an even earlier hook. 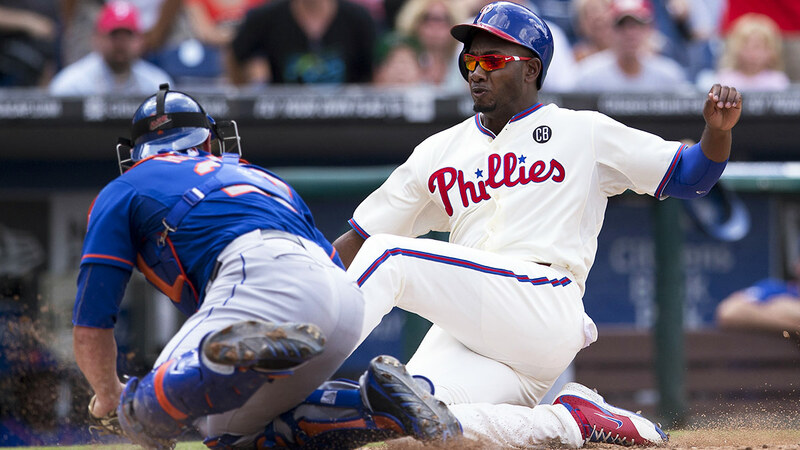 Domonic Brown, Phillies (minus-.025): A future former Phillie, as soon as some lucky team meets Ruben Amaro’s reasonable asking price of three top prospects and one of those free AOL dial-up discs. Dan Uggla, Nationals (minus-.024): The blurb about Uggla in Baseball Prospectus 2014 claimed that the second baseman had “bottomed out in 2013,” but he’d barely declined compared to what was coming. Uggla hit so poorly last season that the Braves cut him with close to $20 million remaining on his contract, and even Brian Sabean’s even-year midseason-pickup magic couldn’t bring Uggla’s bat back to life. However, a lurking, since-cured concussion may have contributed to Uggla’s line, in which case the projections could be moving the wrong way. Scott Hairston, FA (minus-.024): Hairston fell under the influence of the same evil vapors that have drained the production from Nate McLouth, Kevin Frandsen, Tyler Moore, Roger Bernadina, Schierholtz, and other spare parts on the Nationals’ roster over the past two seasons. He spent most of the season on the active roster, rarely feeling the field under his feet while batting .132/.200/.263 in 45 plate appearances as a pinch hitter. They can put a man on the moon, but they can’t find the Nats a bat off the bench. Will Middlebrooks, Padres (minus-.024): Would it surprise you to learn that the Red Sox finished fifth in the AL East? Middlebrooks curbed his tendency to chase outside the zone last season, but he struck out even more often and showed little power when he wasn’t sidelined by his two DL stints and multiple day-to-day injuries. The Padres made so many major moves involving right-handed hitters this winter that only a true completist would bother to list the Middlebrooks trade among them. Ryan Raburn, Indians (minus-.024): Raburn has been one of the majors’ most inconsistent hitters over the last several years, treating his slash stats like a yo-yo dieter treats his scale. Last season’s .200/.250/.297 line was a particularly bad binge. If he’s no longer fit for second base, another down year would be his undoing. Shane Greene, Tigers (minus-1.21 FIP): No one expected Greene to prop up the Yankees’ rotation in the absence of several injured starters, but his stats lost very little in the transition from Triple-A. The 26-year-old throws a hard sinker and a slider, both of which miss bats and generate grounders. The pitches he relies on leave him vulnerable to left-handed hitters, so the reliever talk hasn’t totally subsided, but the Tigers will probably task him with repeating his success in the rotation until their next bullpen blowup. Trevor Bauer, Indians (minus-1.04): Bauer, the third overall pick in the 2011 draft, has often been accused of too much tinkering and committing the cardinal sin of sports: Overthinking It. He still throws more pitches than can be counted on one hand, still looks for any technological edge, and still tinkers. But his execution began to catch up with his cerebral approach last season, as he added fastball speed and missed more bats without sacrificing command. Tyler Matzek, Rockies (minus-0.96): A few seasons removed from walking more than one of every four batters he faced in A-ball, Matzek posted a career-best walk rate in his MLB debut. A former first-rounder, Matzek has always had good stuff, but neither ZiPS nor Steamer expected him to conquer his command woes in the big leagues in 2014. Sliders are a good fit for Coors, and so are ground-ballers who don’t give their opponents extra baserunners. Phil Hughes, Twins (minus-0.89): After his 2.65 FIP for the Twins on the heels of a five-plus ERA in New York, you’d think Hughes would rank even higher; ZiPS projects him for a FIP more than a run lower than Steamer’s. But Hughes had significantly underperformed his FIP in two of the three previous seasons, which kept his 2014 FIP forecast lower than his bloated ERAs would have indicated. Garrett Richards, Angels (minus-0.89): Steamer factors in Richards’s sizable velocity gain, but the lead driver of his shiny new averaged projection for 2015 is ZiPS, which is aware of only his stats. There’s a lot for any system to like about a starter with a healthy strikeout rate, good control, and a pronounced tendency to get ground balls, and Richards’s recovery from his season-ending knee surgery isn’t expected to keep him out beyond mid-April. Tsuyoshi Wada, Cubs (minus-0.89): The Orioles signed Wada in December 2011, hoping he’d give them the same thing they later got from a subsequent international signee, Wei-Yin Chen: a lot of league-average-ish innings. But Wada never recorded an out for the O’s: Tommy John surgery ate up a year, and after he returned, he didn’t make it past Norfolk. The Cubs signed Wada shortly before Opening Day last season, and after a strong half-season in Iowa, he gave them a taste of what the Orioles had wanted: 13 strong starts. Yet another exhibit in the overwhelming array of evidence that everything always works out for the Cubs. Matt Shoemaker, Angels (minus-0.78): Shoemaker went unselected in the 2008 draft; went unranked on 2014 Angels top prospect lists despite playing in what was regarded as an extremely weak system; and went through most of last season with a fastball that averaged roughly 91 miles per hour, pedestrian for a righty. But he was also the team’s second-best starter and the runner-up in the American League Rookie of the Year race. That’s the power of great command and a decent splitter. 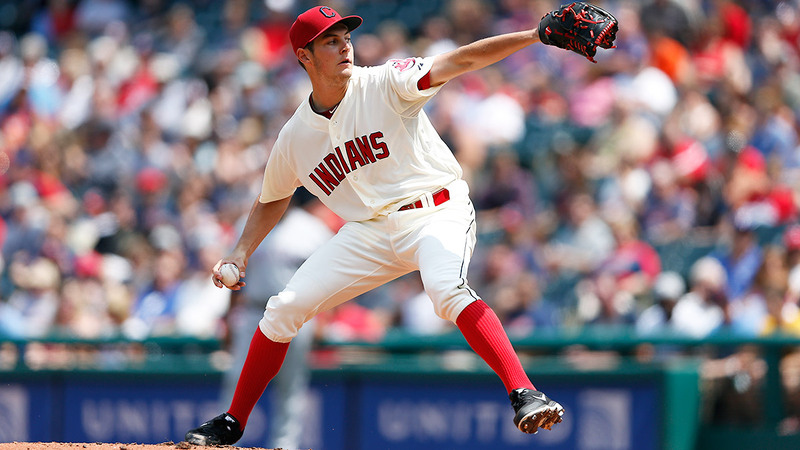 T.J. House, Indians (minus-0.70): Cleveland’s left-handed Justin Masterson mimic is better than the original. House had the majors’ second-highest ground ball rate (minimum 100 IP) and pinpoint command, particularly by sidearmer standards. He can thank the Indians’ infield defense for his .332 BABIP. Between Wada, Arrieta, and Pedro Strop, the Cubs have built the non-free-agent foundation of their staff out of ex-Orioles. Corey Kluber, Indians (minus-0.70): Neither system knows he won the Cy Young Award, but both know that he led all non-Kershaw qualified starters in FIP. Tommy Milone, Twins (plus-0.62): Milone made a lousy first impression in Minnesota, but he doesn’t strike anyone out, walk anyone, or keep batted balls away from the Twins’ two-thirds-terrible outfield defense, so he should fit right in with the rest of the rotation. Shelby Miller, Braves (plus-0.56): Miller worked in his secondary stuff more often down the stretch, and his performance improved — partly because of a dip in BABIP, but also thanks to stronger peripherals. His first half reinforced every preexisting fear about his limited repertoire and did enough damage to hurt his projections, but his strong finish must have erased enough of the Braves’ doubts for them to pull the trigger on the Jason Heyward trade with St. Louis. Justin Verlander, Tigers (plus-0.55): Last season brought more velocity seepage, and a career-low strikeout rate relative to the league. 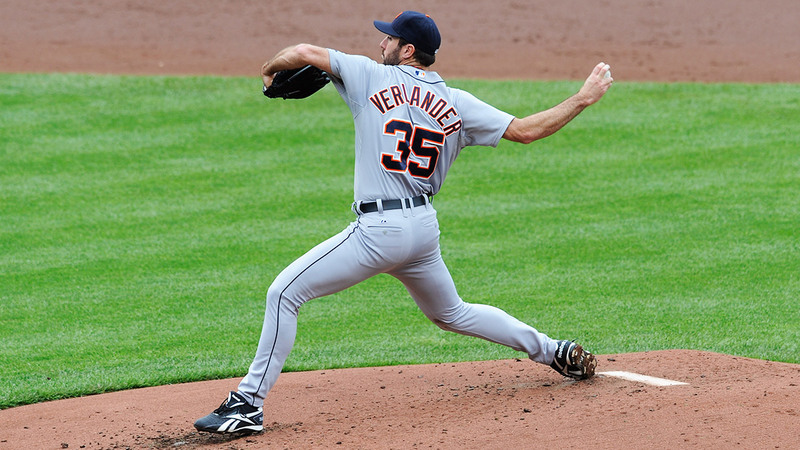 Verlander’s FIP wasn’t as ugly as his ERA, but it was his worst since his off year in 2008. If you’re a Tigers fan, you can talk yourself into buying the line about offseason surgery affecting his preparation last spring, but betting on thirtysomething players to recover lost skills hasn’t made sense since the PED era. Tony Cingrani, Reds (plus-0.54): It’s progress, but 73 percent four-seamer usage is still a stretch for a guy whose heater averages less than 93 mph and who has to get through a lineup three times. Having seen it enough times to sense the trap, hitters stopped chasing Cingrani’s stuff, and his pitches outside the strike zone turned into balls. Balls turned into baserunners, and runners led to Reds losses. The shoulder strain that ended Cingrani’s season in June is no less concerning. Doug Fister, Nationals (plus-0.50): Fister’s superficial stats were stronger than ever in 2014, but his FIP rose to its highest point since his partial rookie season. He lost a little more of his barely there velocity — potentially a byproduct of the shoulder strain that cost him the first six weeks of the season — and his strikeout rate sank substantially for the second straight year. On the other hand, he’s never walked fewer batters, and he may simply have been celebrating his emancipation from Detroit’s defense by allowing as many batted balls as possible, just to see what ground ball outs looked like. Fister’s stats revealed some troublesome signs, but not so troublesome that the Tigers’ end of the trade suddenly makes sense. C.J. Wilson, Angels (plus-0.49): As Sam Miller pointed out during the postseason — before Wilson’s ugly outing in the ALDS — the lefty was prone to disaster outings last year, with a quarter of his 2014 starts resulting in game scores of 30 or lower. His command deserted him in the second half, following an ankle sprain that sidelined him for a few weeks at the All-Star break, and he finished with his worst FIP since 2008. Two years and $38 million remaining. Roberto Hernandez, Astros (plus-0.48): It’s not just Hernandez’s name that’s changed since his late-aughts arrival in Cleveland; it’s his stuff, his repertoire, and his results, too. Houston starters have surprised us before, but ZiPS and Steamer are missing whatever the Astros see. Ubaldo Jimenez, Orioles (plus-0.46): “My mechanics are not the mechanics you’re used to seeing every day with other pitchers,” Jimenez said in January. That nicely sums up his season. Miguel Gonzalez, Orioles (plus-0.44): Remember all the talk last October about a big gap between the Oriole rotation’s ERA and FIP? Gonzalez played a part. The 30-year-old pitch-to-contact righty has posted low BABIPs and outperformed his FIP since he entered the league, and those trends could continue. However, three seasons of FIP defiance isn’t proof of a skill. Jake Peavy, Giants (plus-0.43): Peavy recorded a career-low strikeout rate and his highest FIP since his sophomore season, and his teams generally regretted not pulling him when he went deep into games. But there wasn’t anything sinister to his season; this is just what a gradual decline looks like. Thanks to Tom Tango, Mitchel Lichtman, David Appelman, Jared Cross, and Jessie Barbour for research assistance. Steamer, for instance, factors fastball velocity into its pitcher projections. In the interest of, well, interest, I’m omitting retirees and some marginal hitters who had little or no major league playing time in 2014 and who have little or no chance of significant playing time in 2015. If you want to know how much more remote that .682 OPS in Triple-A made former Reds and Braves infielder Paul Janish’s comeback hopes, you’re out of luck. Starter-to-reliever conversions play havoc with projections, so I’m focusing on pitchers who’ve spent most of their time in the rotation and excluding recent role switchers like Dellin Betances, Zach Britton, Wade Davis, Neil Ramirez, et al. Relievers (full-time or swingmen) with the largest declines: Franklin Morales, Sergio Santos, Rex Brothers, Joe Nathan, Matt Belisle, Brian Wilson.